MotorMartin is currently awaiting the opportunity to take the all new Mazda MX-5 out for a spin and compare it with the very first edition from way back in 1989 as soon as a space appears in an increasingly packed diary and yet it was still no surprise to receive the following news from Mazda up here in the Towers informing MotorMartin that they had lifted the title of Manufacturer of the Year at the 2017 Automotive Management Awards. Following the fourth-generation MX-5’s unprecedented clean sweep of victories last year – taking the 2016 World Car of the Year, 2016 World Car Design of the Year and 2016 UK Car of the Year awards – it’s clear to MotorMartin that Mazda’s driver-focused approach to its current model range is finding favour with judging panels and the general public alike. 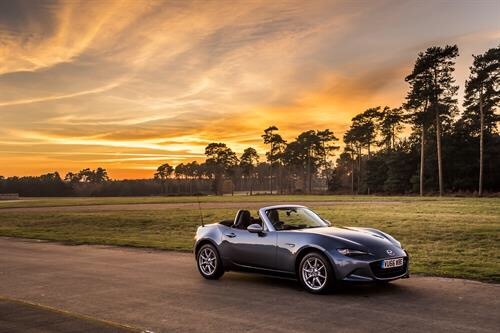 MotorMartin has been informed that in 2016 Mazda recorded 2.4 per cent year-on-year sales growth with retail sales increasing by 10 per cent in a UK market where total retail sales grew by just 2 per cent, while the launch next month of the all-new MX-5 RF Retractable Fastback will bolster the Mazda range to seven models, including the Mazda2, 2017 Mazda3, Mazda6, and both the CX-3 and CX-5 SUVs. 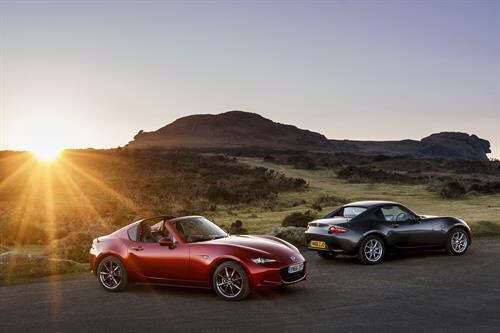 Mazda have explained to MotorMartin that they have maintained a highly focused automotive philosophy which links every model in the company’s new-generation line-up. Its standout KODO – Soul of Motion design approach and its unique SKYACTIV Technology deliver entirely human-centred design and engineering ensuring Mazda’s customers benefit from elegant, refined and efficient cars which prioritise the Jinba-ittai car-and-driver-as-one driving experience exemplified by the MX-5. Commenting on the Mazda brand, Automotive Management’s panel of judges shared with MotorMartin that: “They’re now a brand of great cars, not just the one. Attractive, reliable and great to drive, if you weren’t familiar with the brand, or it was hidden from you, you’d think you were driving one of the premium brands”. So it’s a well deserved award and a hearty MotorMartin handshake for a job well done.